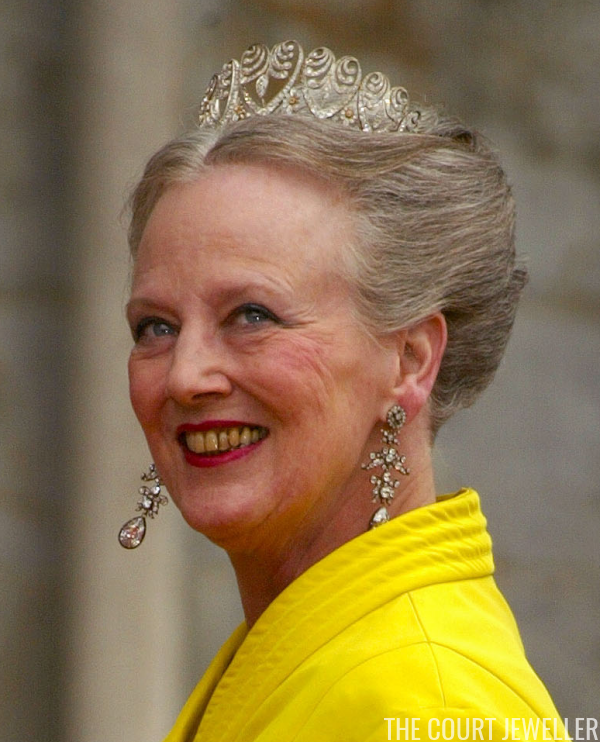 The Danish royal family has one of the biggest and widest-ranging tiara collections in Europe. 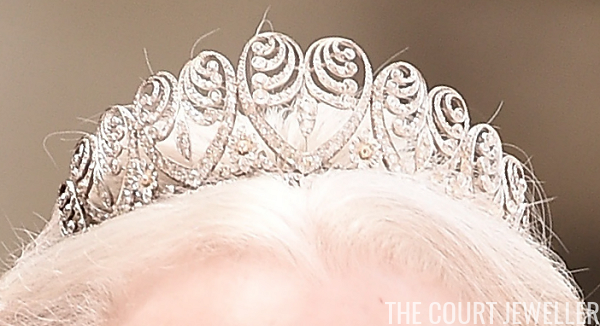 Today, we're looking at one of the older and more traditional tiaras in the bunch. The Baden Palmette Tiara, an heirloom with a long history, is a petite diadem that still packs a big, sparkly punch. 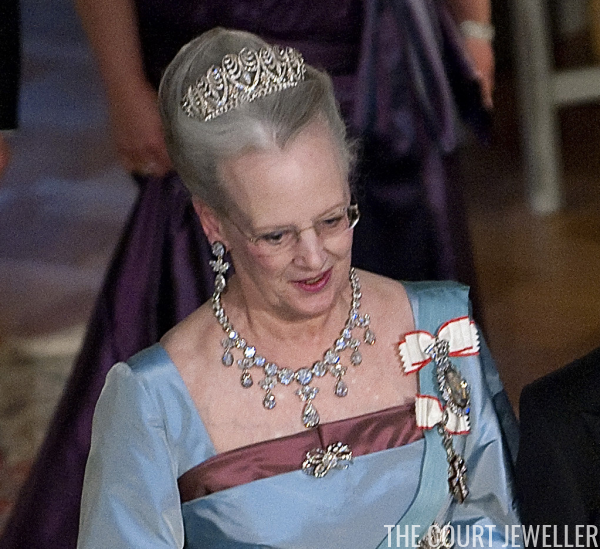 The tiara is originally a German piece, made in the mid-nineteenth century, probably by Koch. It was reportedly a wedding gift from King Wilhelm of Prussia (who later became the first German kaiser) to his daughter, Princess Louise, who married Grand Duke Frederick of Baden in 1856. 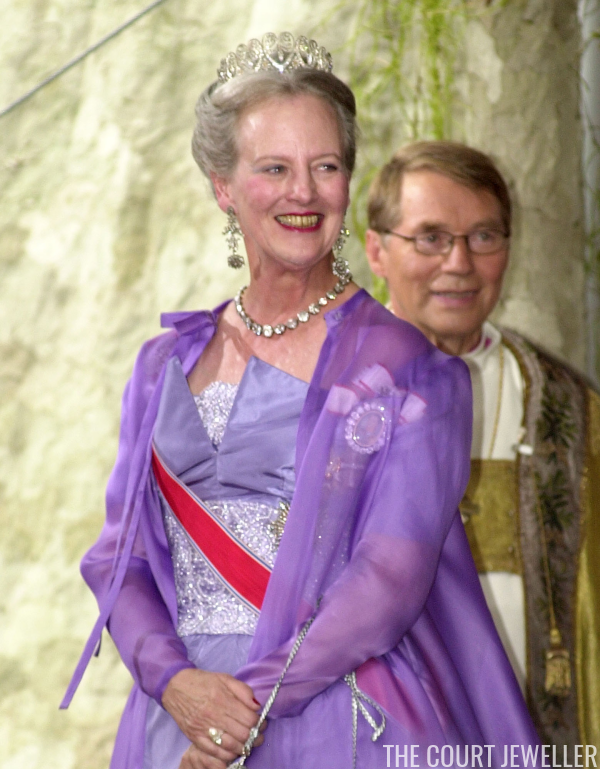 Queen Ingrid died in 2000, and her impressive jewel collection has filtered through the royal and princely families of Denmark, Greece, and Sayn-Wittgenstein-Berleburg. 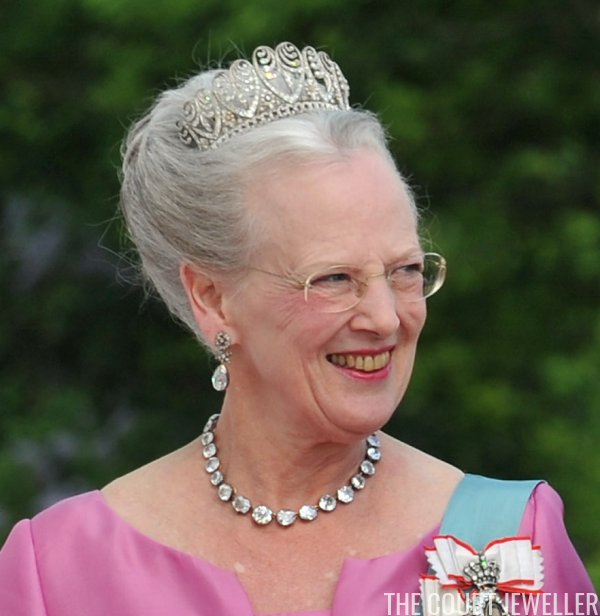 Queen Margrethe was the lucky inheritor of this lovely tiara, and she wears it often. As it's a rather romantic tiara, with its heart-shaped palmette motifs, she often dons it for romantic occasions. She's worn it to numerous royal weddings, including the nuptials of both Crown Prince Haakon and Princess Martha Louise of Norway, the wedding of her godson, Prince Carl Philip of Sweden, and the second wedding of her own son, Prince Joachim. It’s easy to see why the sparkler is one of Daisy's favorites: it’s elegant, playful, and (most importantly for a tiara) small and therefore likely quite comfortable. Note: This is an updated version of an earlier post with new text/images.